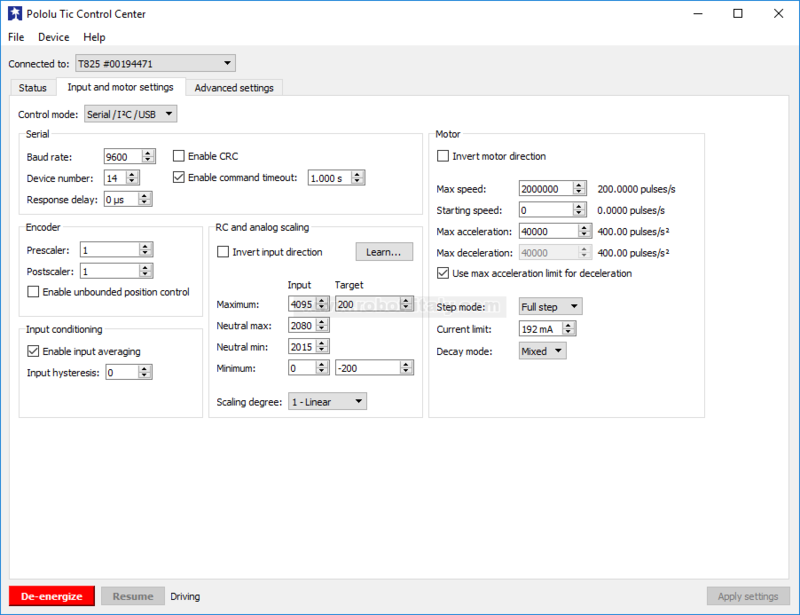 The Tic family of stepper motor controllers makes it easy to add basic control of a bipolar stepper motor to a variety of projects. 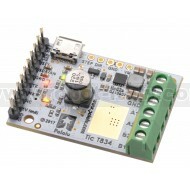 These versatile, general-purpose modules support six different control interfaces–USB for direct connection to a computer, TTL serial and I²C for use with a microcontroller, RC hobby servo pulses for use in an RC system, analog voltages for use with a potentiometer or analog joystick, and quadrature encoder for use with a rotary encoder dial–and offer many settings that can be configured using our free configuration utility (for Windows, Linux, and macOS). 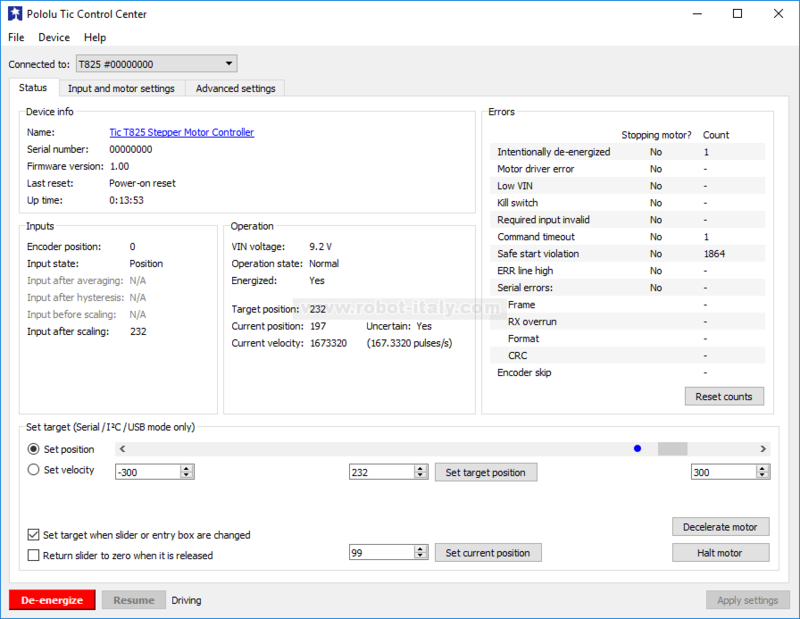 This software simplifies initial setup of the device and allows for in-system testing and monitoring of the controller via USB (a micro-B USB cable is required to connect the Tic to a computer). 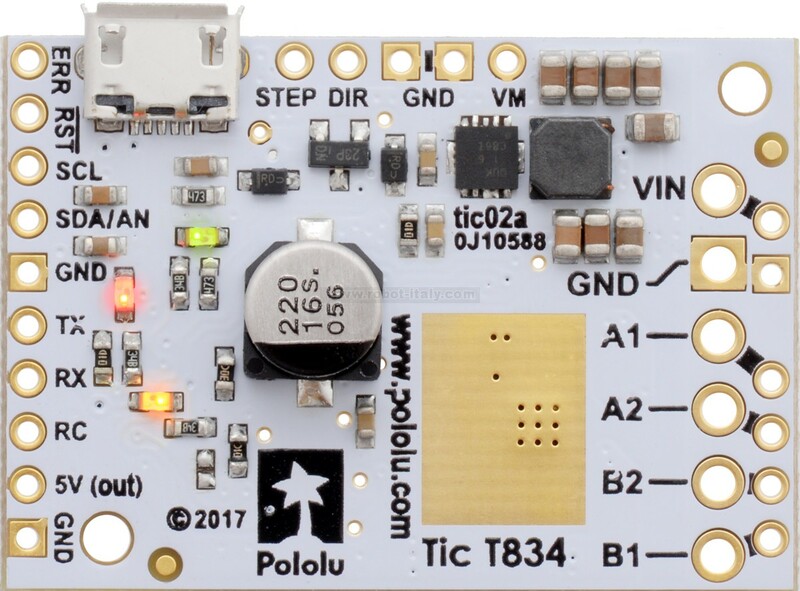 The Tic family currently has two members: the Tic T825, which operates from 8.5 V to 45 V, and the Tic T834, which operates from 2.5 V to 10.8 V. Both can deliver up to 1.5 A continuous per phase without a heat sink or forced air flow. 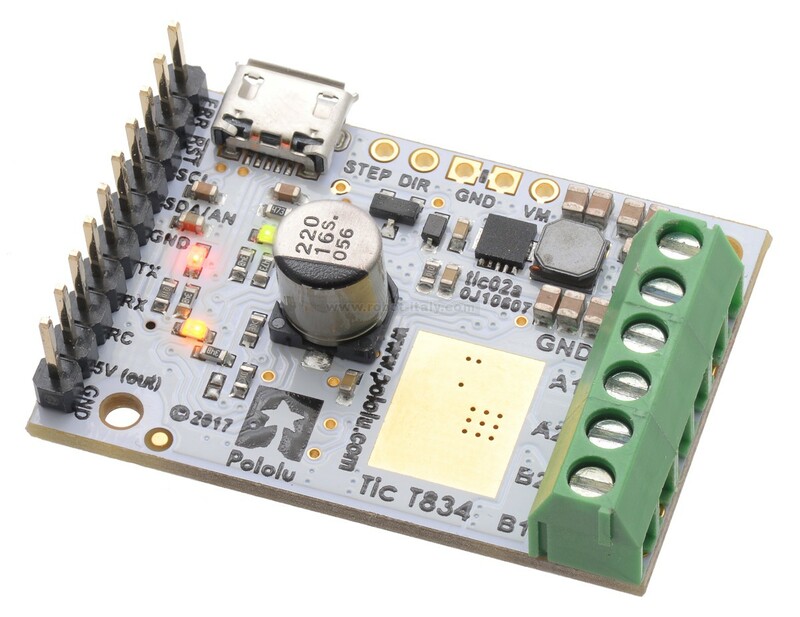 The Tic T834 is based on the DRV8834 IC from Texas Instruments. 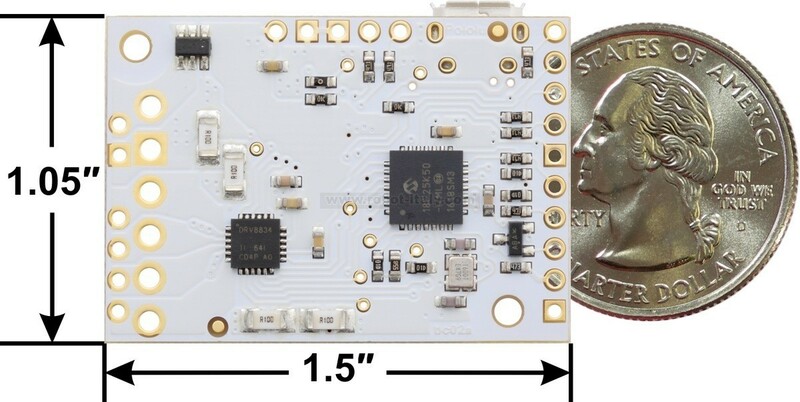 It can operate from 2.5 V to 10.8 V and can deliver up to approximately 1.5 A continuous per phase without a heat sink or forced air flow (the peak current per phase is 2 A). 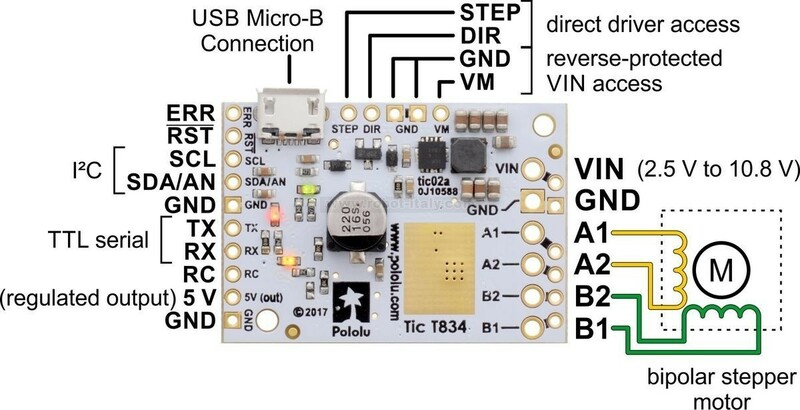 This version is sold with connectors soldered so no soldering is necessary to use it.